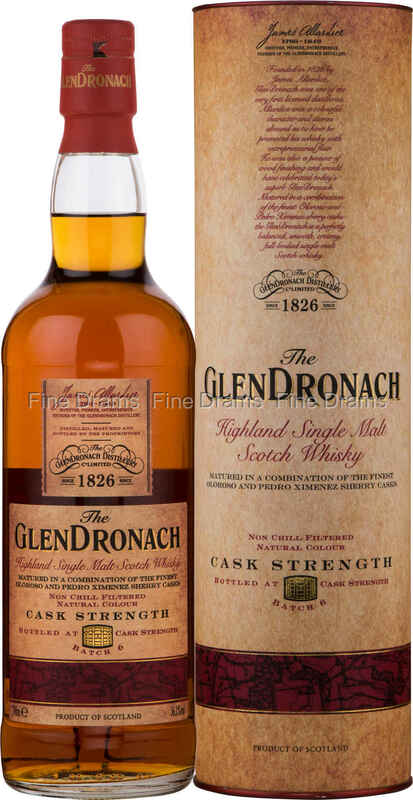 The 6th batch of Glendronach’s much appreciated Cask Strength series. One of the cult distilleries of Scotch single malt whisky, Glendronach has a well-earned reputation for producing some of the best sherried whiskies on the market. And this bottling is no exception, bottled at a warming 56.1% ABV, the whisky serves up wave after wave of huge sherried flavours, with tonnes of dried fruit and spice flavours, with sweet clear honey notes alongside a little warm barley. The whisky is, of course, presented without either chill filtration or artificial colouration. Glendronach have done it again, another terrific and powerful whisky that sherry-bomb fans will adore.